No. 268/1 Parana Awasa Road Mallamula-West Panadura. 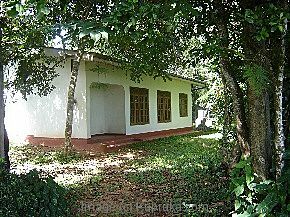 Located at Parana Awasa Road - 500 meters on Hirana Road from Panadura Town. 1.5Km on Malamulla Road and 3Km from Galle Road. This is a single story 3 Bed rooms house with Living, dining, 1 Store room, Kitchen , Toilet, Bathroom. Electricty, Well Water available. In front of the property there is a paddy field. This is very calm and quiet area.